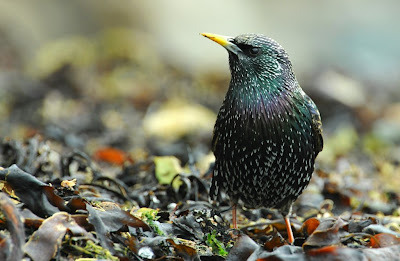 I couldn't resist publishing these two images of Starling feeding on the seaweed. Underrated and usually overlooked, Starlings in adult plumage are simply stunning and make superb photo subjects. Locally still common, Starlings have declined in numbers and you don't see quite so many in gardens these days. 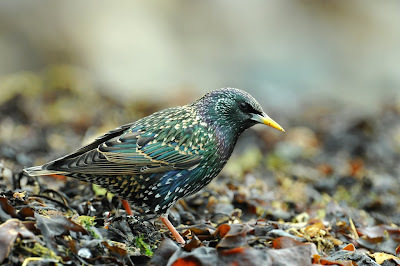 With colours like these, who named the Starling vulgaris? I totally agree. They are beautiful in the sunlight, but boy do they eat a lot!